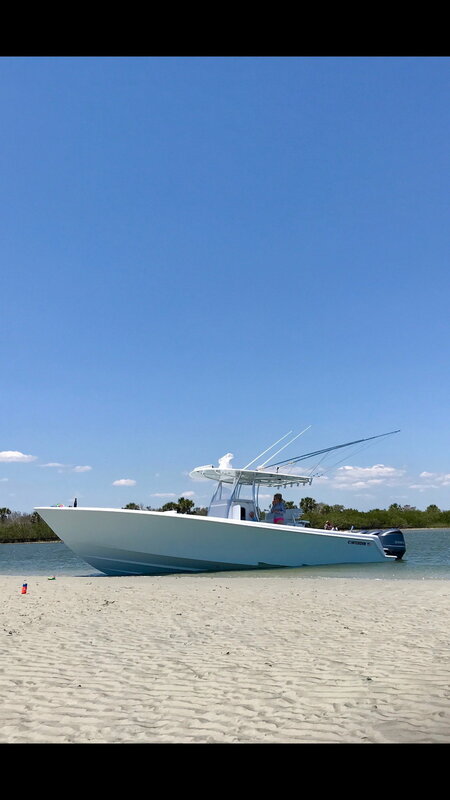 This boat is stored in a fully enclosed stack house in New Smyrna Beach, FL. 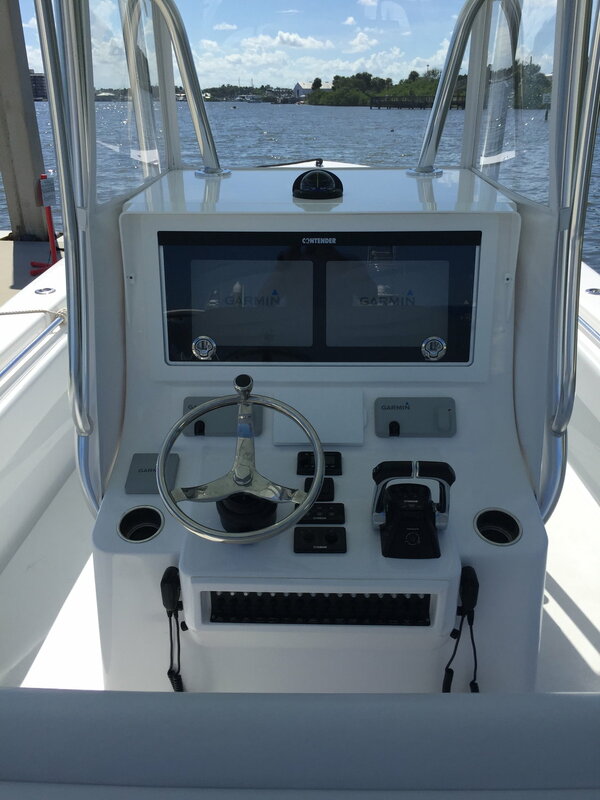 It is professionally cleaned after every use by Kenny and his team at Volusia Boatworks. He also performs detail jobs and waxing on this vessel. 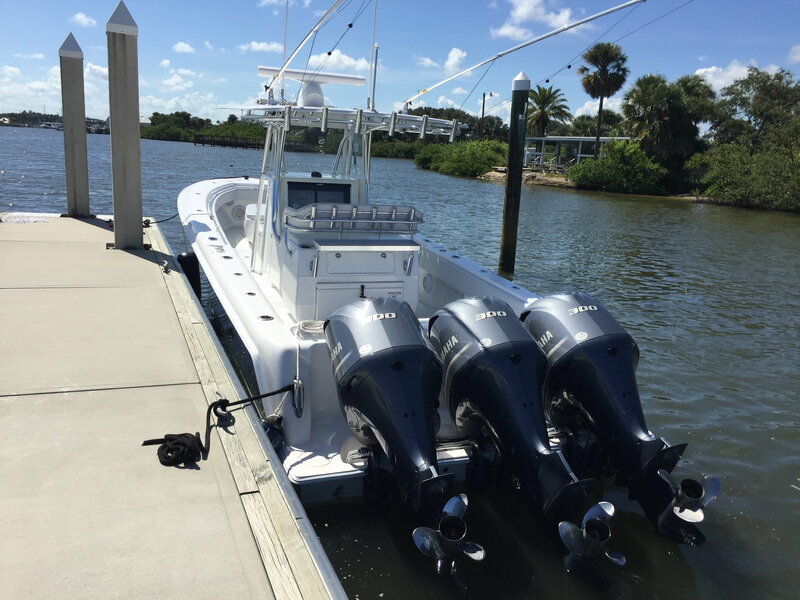 All engine services have been done by certified Yamaha technician at the appropriate increments. Last edited by RollTideRob; 04-02-2019 at 10:11 AM. Seen that bad boy several times when rolling by Outrigger's. Nice rig to say the least. Are you moving up to a bigger CC? 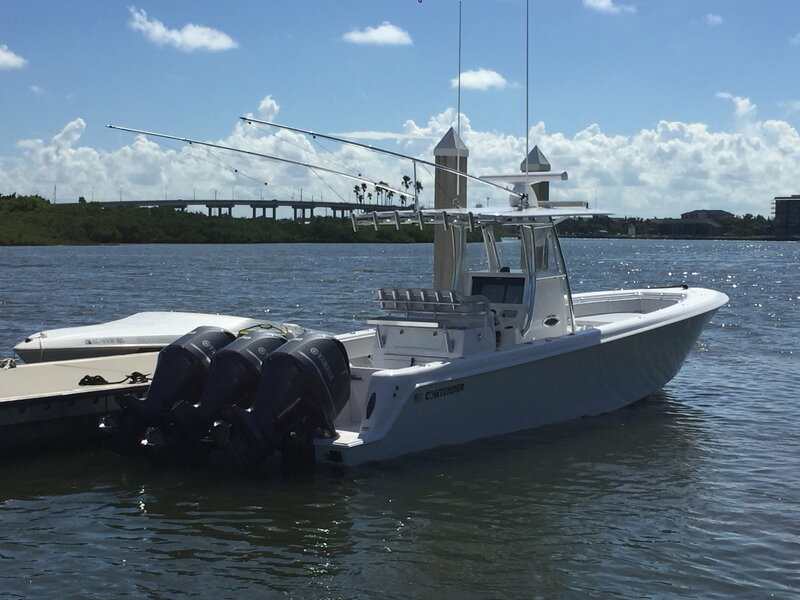 A friend of mine also keeps his boat at NSB Marina- 34 Venture. Thanks J! Staying with the 35ST, the platform is perfect for us. Adding an upper station to the next one. I had two other posts on here last night that have disappeared. One was asking about props. These are the stock Yamaha props, did not mess with them. Ttt with a price change! Last edited by RollTideRob; 10-22-2018 at 10:21 AM. 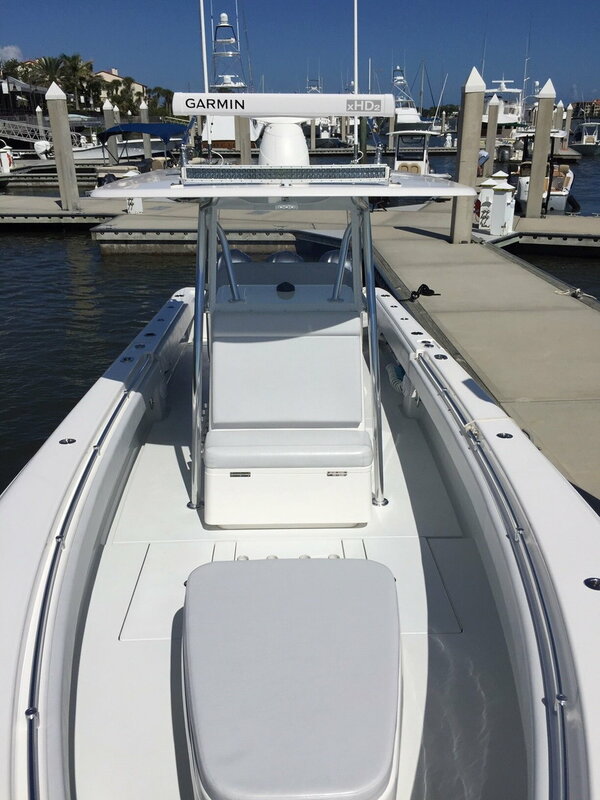 Yes, we all agree this is a nice boat, etc., but lets keep the "Nice Boat, I love this Boat, What are you getting next, GLWS, Bump, etc." comments off the ad. 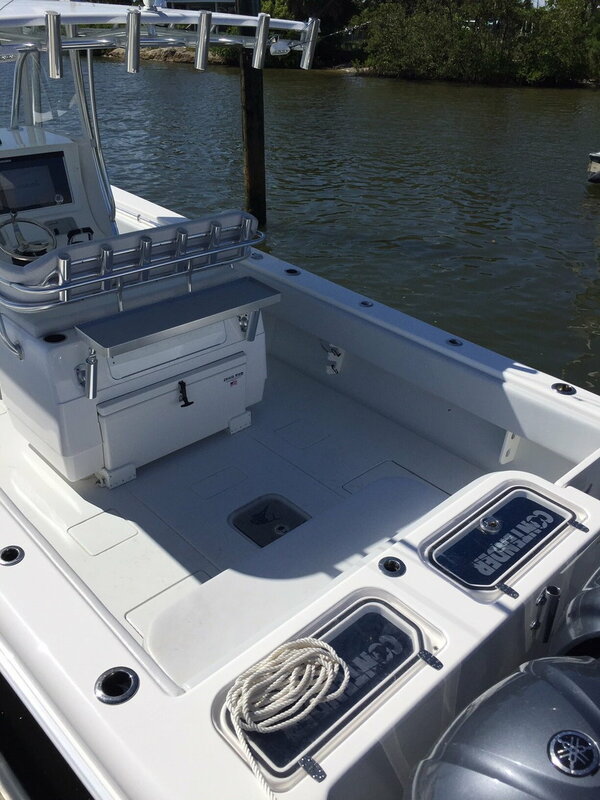 If you want to discuss this boat please start a thread in Boating, and lets keep this thread about the For Sale ad. 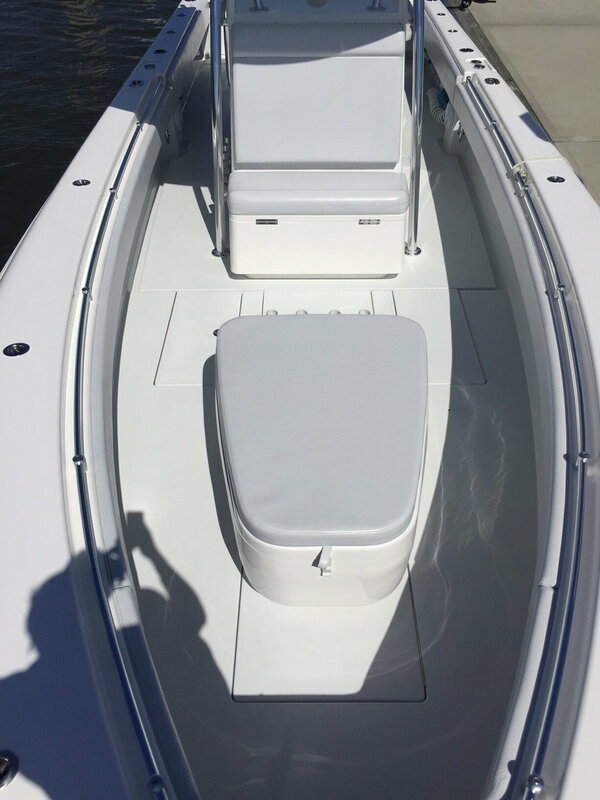 If you want to post in the ad, please post only questions about the boat that are related to the boat being sold and keep in mind that the Boats for Sale forum is not a discussion forum, so if you are not a potential buyer with legitimate questions or someone with answers to posted questions, then please post elsewhere or send the seller a PM. Thank you - your Mod team. TTT. PM me with any questions or if you need more pics. Is that ice blue, can't really tell? Yes hull is Ice Blue, cap is Matterhorn (off-white/greyish), under T-Top is also ice blue. Can you post more pictures. No problem, I will try to get some pics of the console and inside hatches, etc. If there is anything specific you want to see, PM or text me. TTT $324k. Give me a shout with any questions. 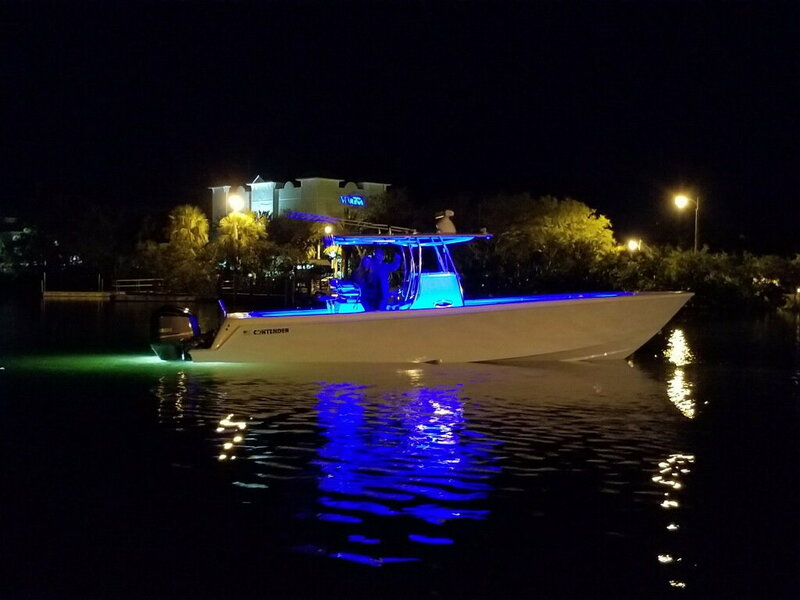 Wahoo fishing is heating up in N. FL. 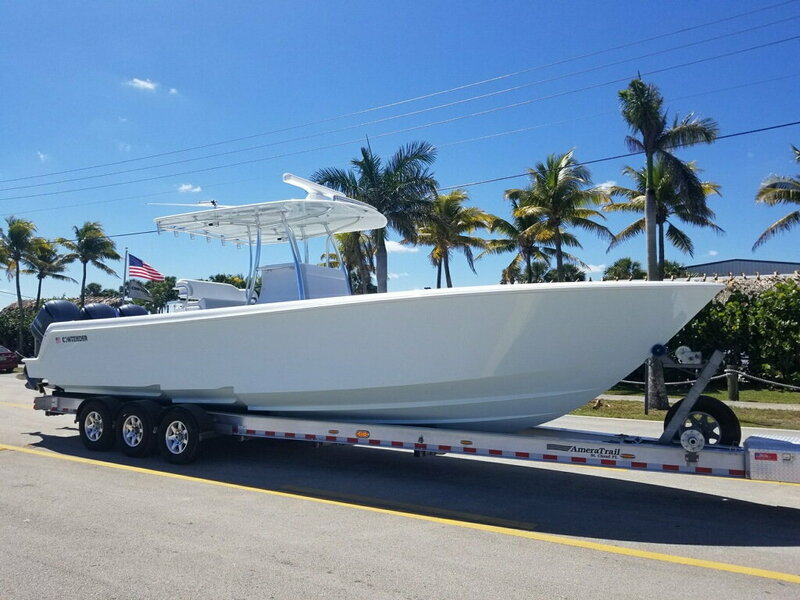 This is the perfect platform for anything from long range tuna trips (400 gallons of fuel), high speed trolling for wahoo, or sailfish/billfish here or Bahamas. PM me with reasonable offers. $324k OBO. Send PM with any questions. Will entertain offers, shoot me a PM.